Back in August, we published a post about the classic yacht model the Good News, built by Paul Reck. The post included a link to a nice slideshow Paul put together. Well, Clare Hess decided to do something similar for his Higaki Kaisen model. The model itself is built from a kit by the Japanese wooden model manufacturer Woody Joe. It measures about 16-1/2″ long and high and is made from a wood called Hinoki, which is an aromatic Japanese Cypress. The kit features a large number of laser-cut parts and includes some interior details in the cabin area. Some of the wooden panels have been omitted, so as to allow a view of the interior areas. 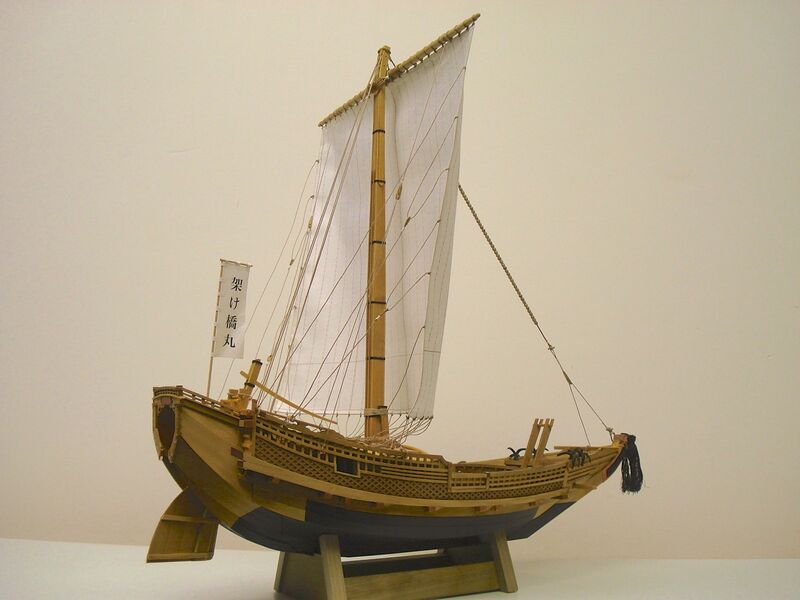 This entry was posted in Clare Hess, Ship Modeling and tagged Building a Higaki Kaisen Model, Japanese traditional boat, Woody Joe by catopower. Bookmark the permalink.